South Carolina Archives and History: Hannah Rosenwald School is significant as a building associated with African-American education during segregation in South Carolina and as a building that embodies the distinctive characteristics of a Rosenwald school design. The Julius Rosenwald Fund focused on providing monies for the construction of modern school buildings for rural African-American children in the South that could serve as models for all rural schools. Twenty-six Rosenwald schools, the second-highest number in the state, were built in Newberry County. Hannah Rosenwald School was built during the 1924-1925 school year, replacing the older Free Hannah School. 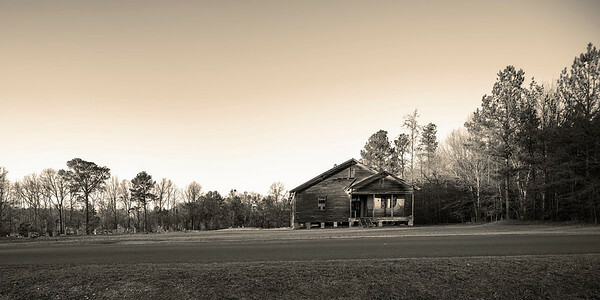 Known in Rosenwald School records as the “Utopia School” after the local community, Hannah Rosenwald School was built on four acres of land near Hannah A.M.E. Church, which relocated across the road from the school in 1952. The Rosenwald Fund donated $900, the African-American community donated $1000, and the public (both state and county) donated $2000 to build a three-teacher type school on a north-south orientation. Three-teacher schools were common in South Carolina, but most of them were built on an east-west orientation. Hannah followed the standard interior plan for a three-teacher school, which included three classrooms, three cloakrooms, an industrial room, and an entry hall. The current openings between the classrooms indicate where blackboards once hung. Hannah School closed in the 1960s when it was consolidated with the Newberry and Silverstreet schools. Listed in the National Register January 22, 2009.